Sports-Fitness-Solutions Newsletter, Issue #046 - Why Am I Gaining Weight? "Why are the numbers on my scale climbing? I work hard to stay fit." That is a valid and often frustrating question. And the answer isn't always sweet and simple. "Any change in your life circumstances can produce changes in eating and exercise, which leads to weight gain," stated Edward Abramson, Ph.D., professor emeritus of psychology at California State University, author of Emotional Eating. So why has your weight increased? And, more importantly, what can you do about it? A little addressed fact about weight gain is that everyone gains weight for different reasons. So often we hear about one-size-fits-all weight loss solutions that take little or no consideration of how the extra weight piled up in the first place. To experience true weight loss it is important to understand why you gained it in the first place. Think back to the time in your life when your weight was just right. Were you in your teens? Your twenties? Or maybe your thirties? Picture yourself as you were at your ideal weight. Now when did things change? Was it a gradual addition of pounds that accumulated over a span of multiple years? Or did you gain it all at once? 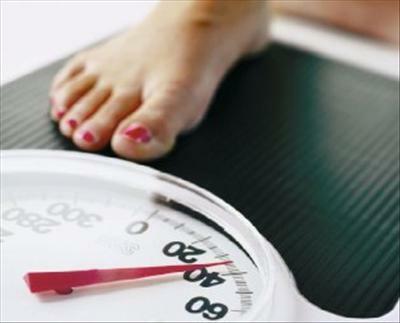 Check out the following weight gain triggers and determine which one is responsible for your plight. College: The college years are some of the easiest for gaining weight. In fact, a recent study by Cornell University found that on average, college freshman gain about 0.5 pounds a week - almost 11 times more than the average weight gain among 17-and 18-year olds and almost 20 times more than the average weight gain among American adults. Marriage: There's nothing like holy matrimony to encourage a barrage of calories to overtake your diet. Late night comfort snacks are always more enjoyable when you have someone to share them with—and who better than the person who pledged to stick by your side through sickness or health? Pregnancy: Talk about a great time to gain weight! And we're not just talking about women here—most men admit that they gained ‘sympathy' pounds right along with their wife. Hormonal changes along with strong encouragement from everyone you know to indulge in anything their heart desires leave most pregnant women with a feeling of entitlement when it comes to food. Close your eyes and go back to the fat trap that triggered your weight gain. What changed in your lifestyle? To help sort things out, I've broken things down into two specific behavioral categories. Eating Habits: Did your eating pattern change at this time in your life? If your weight gain occurred in college then maybe you went from eating 3 square meals to an all-you-can-eat buffet style cafeteria. Or if marriage was your weight gain trigger, then maybe you went from eating small meals to fattening comfort food. Pregnancy brings on the perfect environment for a change in eating habits. You go from eating normally, to eating ‘for two', to munching on your baby's snacks right along with him! Your job can also dictate your eating schedule. Long hours and early meetings may cause you to grab a donut or chips from the vending machine. You've figured out which fat trap in your life led to weight gain, and then narrowed down the exact behaviors that changed as a result, so this naturally leads us to a solution. Now it's time to make a change. So get started. If you need help contact me today to get started on a fitness program tailored to you that will make you immune to all of life's fat traps. I promise, once you once we get started, those numbers on your scale will quickly change direction. One serving equals: 248 calories, 4.7g fat, 301mg sodium, 25.5g carbohydrate, 3.4g fiber, and 25.5g protein.